David Claerbout, The pure necessity, 2016, single channel projection, 2d animation, stereo sound, 50 min., © David Claerbout. We are pleased to present a new solo exhibition by the Belgian video artist David Claerbout on the occasion of the 50th anniversary of Galerie Rüdiger Schöttle. The pure necessity is the title of Claerbout’s latest video work, which explores the animated classic film The Jungle Book - which, incidentally, celebrated its 50th anniversary last year. The pure necessity centers exclusively on the representation of animals, their sounds, and the noise of nature. 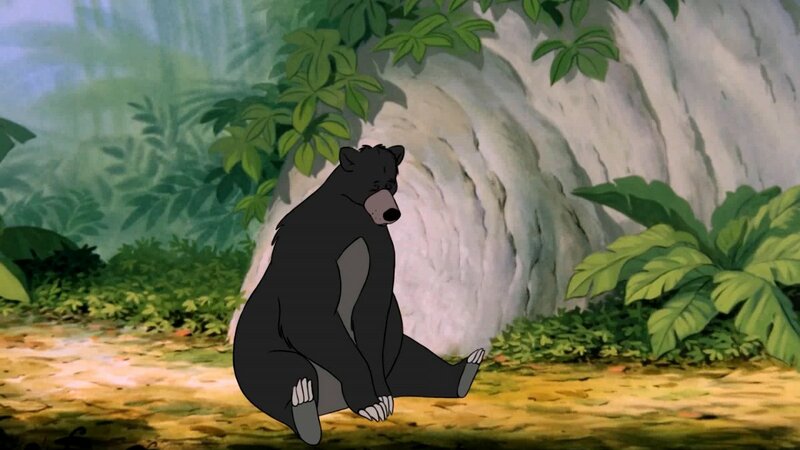 Claerbout abstains from using dialog, music, or dance - and apart from a little girl with a water jug, there are no human beings in his version of the Jungle Book. Twelve animation artists collaborated with Claerbout on this large-scale project, creating individual color drawings to help him realize this 50-minute animation film, which omits the animals’ anthropomorphization and puts a new spin on the familiar story. The narrative is decelerated, the animals behave as such, and we, the viewers, are once again reminded of how we as individuals or species either coexist or exist separately in our own worlds here on earth - a notion that is representative of the modern individual. Always bearing the original in mind, one waits in vain for character interaction or smiling faces; what remains is the “normal” day-to-day existence in the jungle, where everyone follows their instincts. In contrast to the post-war era, we no longer merely seek distraction or entertainment in films. Video art has long established itself as a medium for new narrative forms, and David Claerbout is certainly one of the masters of this genre - taking technique, timing, and narration to a new level and captivating audiences via their subconscious. Along with the film, the exhibition will feature drawings from The pure necessity by David Claerbout. David Claerbout (*1969 in Kortrijk) lives and works in Antwerp and Berlin. His works are represented in international collections and are exhibited regularly in the most renowned museums worldwide, most recently in the Pinacoteca in São Paulo and Schaulager Basel. 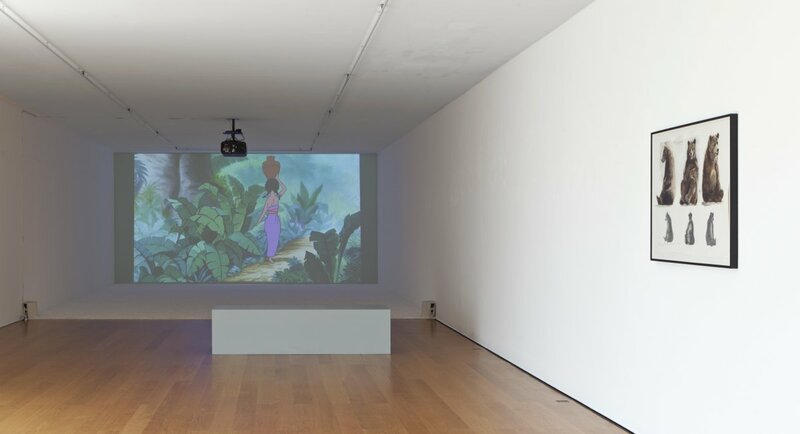 Two of his major works are currently on view at Espace Louis Vuitton in Munich until August 25, 2018, and Kunsthaus Bregenz will open a solo exhibition on July 14, which will also present Claerbout’s version of The Jungle Book, among other works.